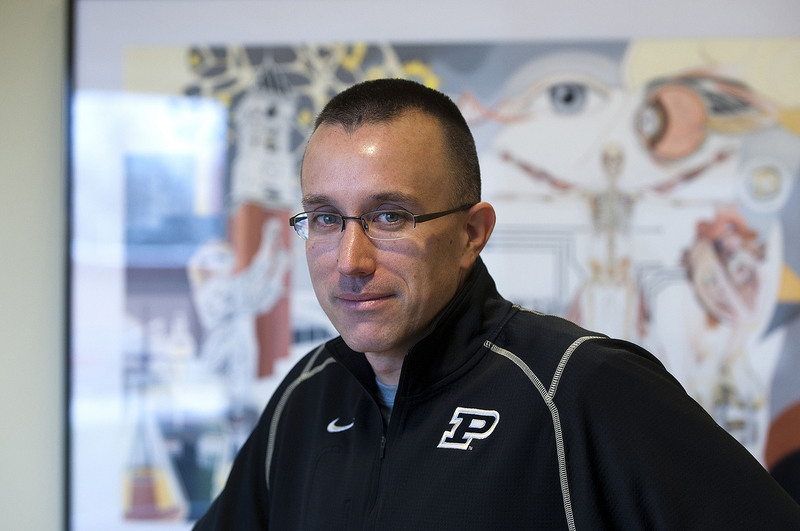 Eric Nauman, a professor in the Weldon School of Biomedical Engineering, will be inducted into Purdue's Book of Great Teachers, which honors outstanding teaching faculty who have demonstrated sustained excellence in the classroom. A total of 45 Purdue professors will receive the honor on Dec. 11. Nauman is also director of the College of Engineering Honors Program and a professor of mechanical engineering and basic medical sciences. Eric Nauman, professor of biomedical engineering, mechanical engineering, and basic medical sciences; director of the College of Engineering Honors Program. Held every five years, the induction ceremony will take place at 3:30 p.m. in Purdue Memorial Union's South Ballroom President Mitch Daniels and Provost Jay Akridge will speak at the event. Automatically included in the Book of Great Teachers are professors with 10 years of service to the University who previously have been honored with the Charles B. Murphy Outstanding Undergraduate Teaching Award. Other inductees have at least 15 years of service to the University and were nominated by students, alumni and colleagues. The ceremony is open to the public. RSVPs are due Monday (Dec. 3) by emailing cie@purdue.edu. Everyone inducted into the Book of Great Teachers is listed on a bronze-and-walnut wall display in the west foyer of the Union. The display was first unveiled in 1999. Including the most recently inducted professors, the book includes 429 names.